We often associate tradition with things that are out of fashion. Often, in that long list of things we tag useless or meaningless, we lose sight of logical and thoughtful ways of living. 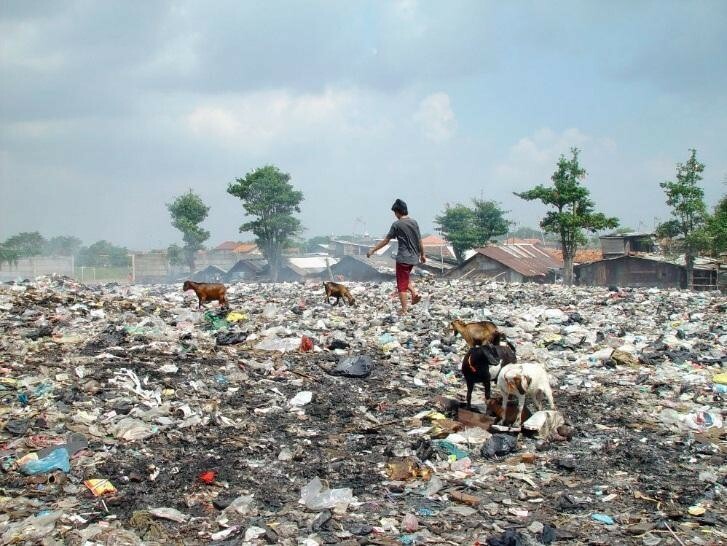 If we look around us, we see that there are piles of garbage on every street – heaps of filth and dirt, several people defecating out in the open. At some point of time or the other, we all have asked ourselves this question – do we not have any civic sense left? Do we not understand how to live in a clean society? At some level, we know that the answer is a thought-provoking NO. But to those of you who have wondered what you can do about it, here’s my experiment (and suggestion) on a logical and thoughtful way of living. I have always heard of stories by women – including my own mother, who complained at the very idea of using a cloth pad. It was uncomfortable, it would stain and it would not allow one to work in peace. It is true that a lot of this is because menstruation is a hush-hush affair. It is a ‘girls-only’ topic and it must not for the love of womanhood ever be discussed with the male gender. A vast majority of us use disposable sanitary napkins. Even in villages, there are buyers of these disposable sanitary pads. A sight that was often seen in cities – sanitary napkins dumped on the outskirts, has now branched into villages. My point here is not to say that disposable sanitary napkins are not useful – they are, but their improper disposal is often quite hazardous. No sanitary napkin is biodegradable . This is something we are not familiar with. As consumers, we see the convenience in use-and-throw, but we fail to see the harm we are causing to the environment because of our own practices. ❏ Everyone complained that using cloth was unhygienic because they were made to dry it in a place that was damp. 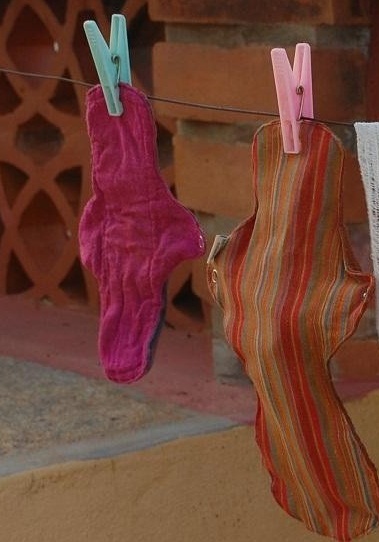 Cloth pads need to be dried in sunlight or in well-ventilated areas. ❏ Cloth pads felt heavy- they feel clunky and often did not fit well. The way they are designed makes all the difference. Modern day sanitary pads come with wings which place them firmly in one place and this is what we find convenient about them. So if cloth pads had wings which did not move – we would actually find them more convenient, right? ❏ They stain and they stink. This is one of the biggest arguments of working women against cloth pads and this is absolutely not negotiable for anyone. With more women in the workforce, we cannot even think of managing stains with our hectic job profiles. But what if a cloth pad gave you enough protection from staining? ❏ We have to wash them and who has that kind of time anyway? Contrary to popular notions, washing a cloth pad is not so time consuming. Soaking before washing takes less than 5 minutes! Our grandmothers actually got it right. What was probably needed was an efficient design given to the cloth. In my previous article, “From Rags to Trash”, I had spoken about cloth pads as an alternative to disposable sanitary pads but I was not a user of it at that time and so I began by calculating the number of sanitary pads I used. From January to June, I carefully noted down the total number of the same. On an average – I was using 10-15 pads per month, which meant 120-180 pads a year! I calculated back to almost ten years ago and realised that I had sent nearly 1200-1800 pads to the landfills! Meanwhile, a friend of mine had just recently purchased cloth pads from, a self-help group in Auroville and was making a shift in her sanitary choice. I was curious. Here was an option right within the country and this was a group of women making beautiful re-usable sanitary napkins. I decided to give it a try and as a tribute to the World Environment Day this year, I ordered five cloth pads worth Rs. 1200 for myself. 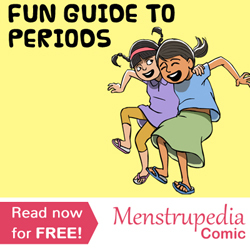 Teaching about periods is crucial and we make it easy and fun! Even though I had ordered them, I was scared and like many of you I was also asking myself – will this be comfortable? How will I know how many pads I will need? What if it stains? But with conscious and careful experimentation, I was sure that I would somehow be able to manage. The first thing I did was to count the number of disposable pads on each day of my period. After this, I noted how heavy my flow was against those numbers. On heavy flow days with high risk, if you are not comfortable, use your disposable pad when you are not at home. All sorts of inhibitions come to you, but drive them away and stick to your environmentally conscious gut! All such fears do go away. Each woman is different and I would say, paying close attention to your blood flow and your needs should do the trick. The trick essentially lies in identifying your cloth-pad needs. It takes one or two cycles to get used to this, but the exercise is completely worth it. The pads that I ordered come with one side printed and the other side plain. The plain side is meant for absorbing the blood. All it needs is a cold-wash. I also soaked my pads in cold water for 15 minutes making them as good as new. All it needed now was one more wash with laundry soap and two drops of Dettol. The ideal way to dry them is in sunlight, but due to monsoons, I dried them below the fan. I reused my cloth pad after that and I’m glad to note that I will continue to do so in the coming years. I travel 3 to 4 hours a day in public transport, and I found it comfortable even during such intensive travel. One of my fears was that of sitting on a wet seat, (while traveling in public transport during the monsoon) afraid of staining my pants, but nothing of that sort happened. As a precaution, make sure that you have a spare cloth to clean up such spots before sitting there. Apart from that, I kept a small pouch to store the used pads in, until I reached home. Each cloth pad is reusable up to 75 times if maintained well and dried properly. I make it a point to wash them as soon as possible in less than 24 hours and dry them immediately after.It does not smell or feel weird and it takes me less than 2 minutes to wash off my pads after soaking them for 15 minutes. I don’t feel icky and in fact, it actually feels great to care about the environment. There is a lot that needs to change about Menstrual Hygiene. Sanitary waste disposal is a major hurdle in waste management. The biggest obstruction is people’s perception about these issues. This is not just in terms of opening our minds to cleaner and re-usable options but also to talk openly about menstruation. Only when we understand these things clearly can we look at safer cleaner and more sustainable options for ourselves and for our environment. Hamsa Iyer works with Observer Research Foundation, a think tank. She believes in waste management and loves Captain Planet.